Ellis, Julia, and Dorie. Best friends since Catholic grade school, they now find themselves in their mid-thirties, at the crossroads of life and love. Ellis, recently fired from her job, begins to question the choices she's made over the past decade. Julia has a man who loves her and is offering her the world, but she can no longer hide her deepest insecurities. And Dorie has just been shockingly betrayed by the man she loved and trusted the most. Can a one-month getaway to North Carolina's Outer Banks help make things right? 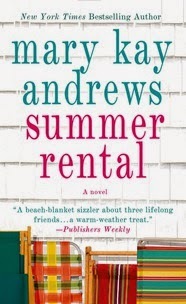 Summer just wouldn't seem like summer without reading a novel by Mary Kay Andrews. Her books are so much fun and a great way to escape by the pool or the beach. To celebrate the arrival of summer (it's closer than you think! 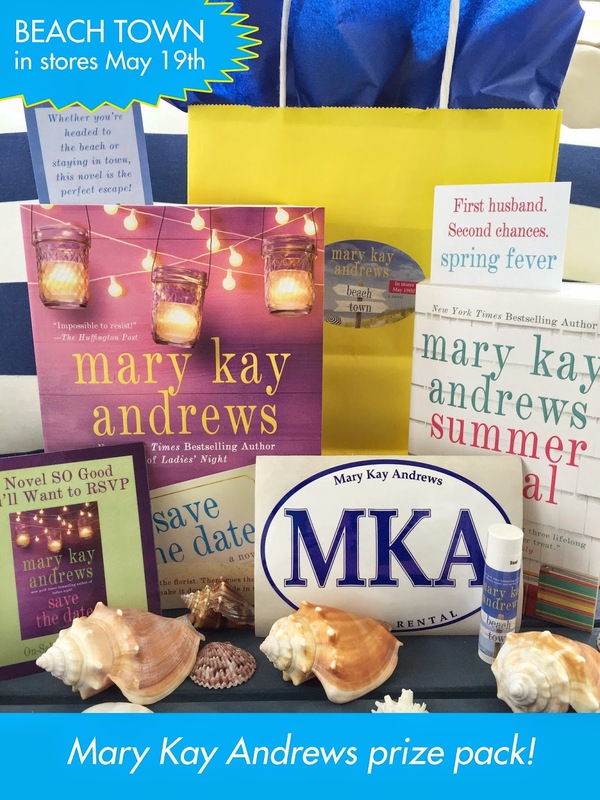 ), I have two great books to share with you -- SUMMER RENTAL and SAVE THE DATE. I have read both of these books (you can read my reviews here and here), and I promise that they are truly entertaining. To enter, just fill out the form below before May 26th at 11:59 p.m. EST. I will randomly select and notify the winner the following day. This contest is open to those of you with U.S. addresses only. Good luck! Great giveaway! Perfect summer reading. What a great giveaway! 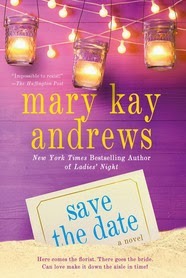 Mary Kay Andrews books are always fun! Wow! That is quite a giveaway!